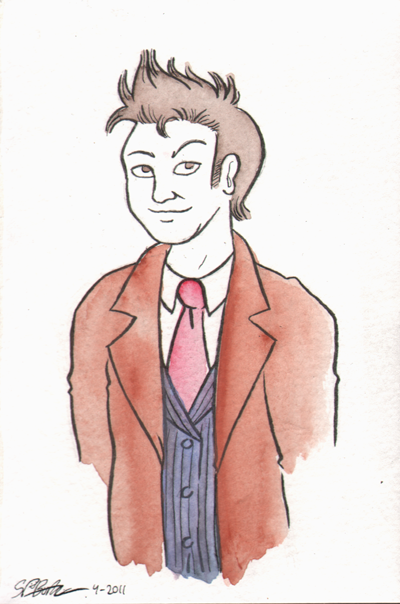 Tenth Doctor Sketch Card for Erin Jameson! Managed to squeeze out one more sketch card before the MoCCA Festival! Purchased by Erin Jameson of Belleville, IL.